Transactional emails refer to a type of email sent to a customer when they need, or have requested, specific information. In other words, this is an email a recipient doesn’t need to be “opted-in” to receive. Examples include: confirmation of a new account, password reset links and post-purchase receipts. 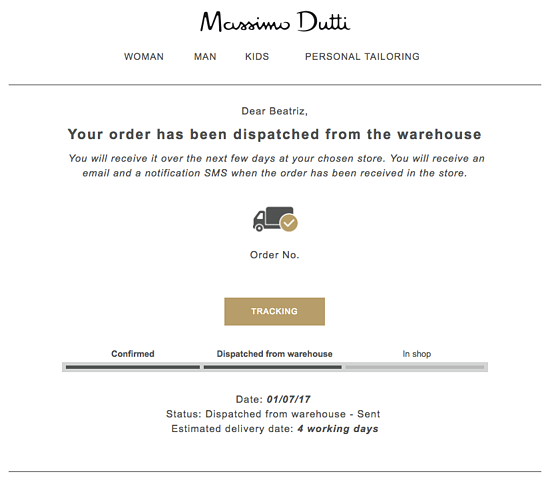 For this post, we’re going to focus on the latter: the email you send to a customer straight after they’ve made a purchase, making them do this at their screen. These emails contain important and confidential information such as reference number, payment details, delivery method and tracking links. 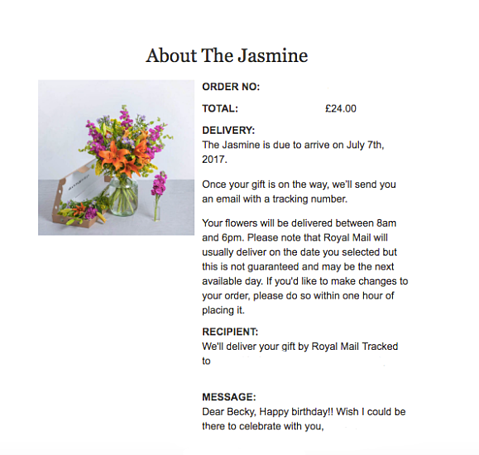 Eager to check the details of their order, customers will often be waiting for transactional emails to arrive. This results in a high open and click-through rate (as well as a good chance of staying in an inbox and not being deleted). It’s become a well-known fact that acquiring a new customer costs between six and seven times more than retaining ones you’ve already got. In other words, customer retention is the key to success - so any message sent to a customer straight after a purchase needs to be spot-on. … And that’s why transactional emails are worth investing some time in. They are a unique, golden opportunity to engage with existing customers and guide them to the next stage of their customer journey. And yet, retailers still seem to be sending dull, monosyllabic and robotic messages that are about as enticing as a scanned paper receipt. Luckily, there are ways innovative marketers are breaking the mould and creating on-brand, bespoke and engaging emails that convert. 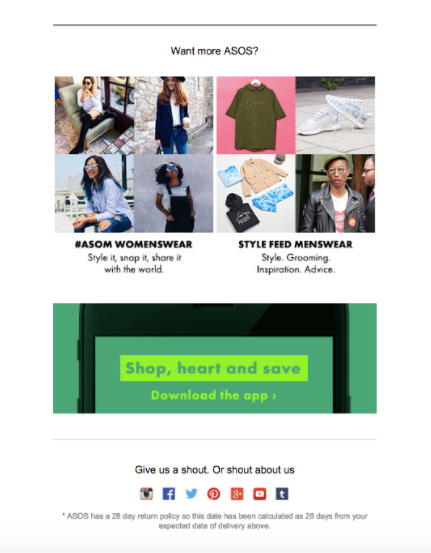 One hot ecommerce brand that manages to make its transactional emails 100% on-brand is Lost My Name. 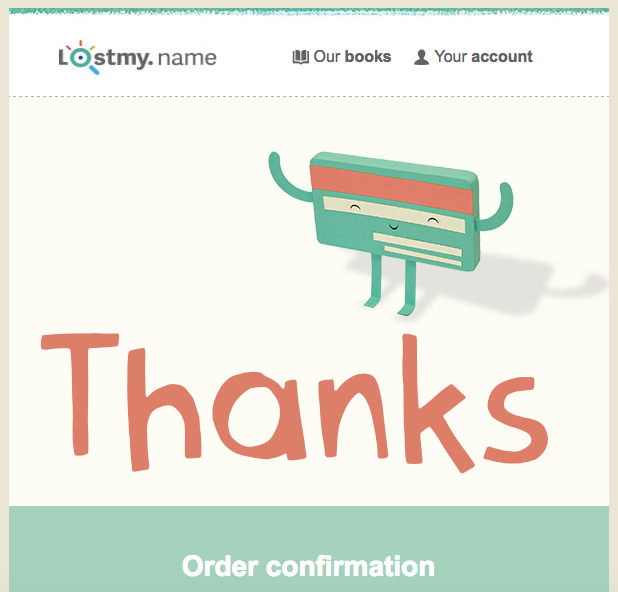 With the playful subject line: “Hooray, we’ve got your order”, the children’s book retailer uses a quirky illustration in the hero image. Beats a boring, monochrome receipt - right? 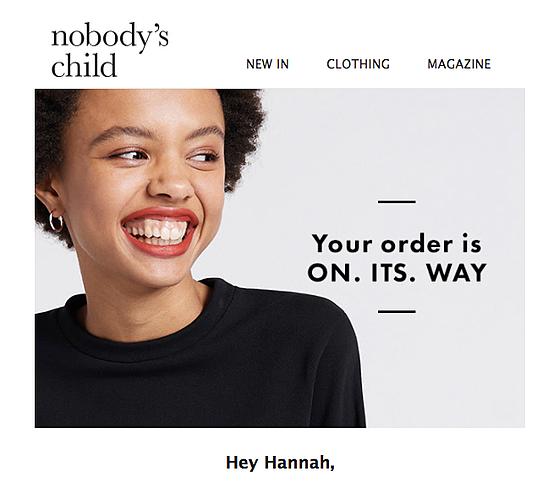 Another brand with strong, recognisable transactional email is ethical fashion label Nobody’s Child. The cool, happy hero image, as well as the sassy headline, pretty much sums up Nobody’s Child chic and fierce personality. - Transactional email templates are often generated by ecommerce platforms, and can sometimes look too “coded”. However, there are solutions (like Ometria) that give you more creative control over how your transactional emails look. This will ensure your transactional emails are not just visually appealing but consistently on-brand. When you’ve just spent you hard-earned cash with a brand, the last thing you want is to receive an email that doesn’t even acknowledge you as a customer. A little 'thank you' goes a long way, and even basic personalisation - such as including a recipient's name in a post-purchase email - works a treat and makes your tone sound friendlier. 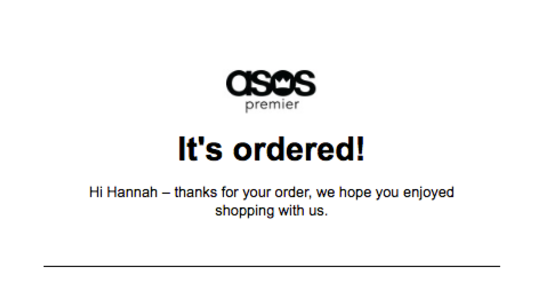 What’s great about this example from ASOS is the way in which the email talks to directly to the recipient: Hannah. Also note that the brand thanks Hannah for shopping with them, making her feel more valued as a customer. The exclamation mark in the header and grateful tone in the copy also makes this personal address seem even more genuine. On the back of this point, it’s important to pay attention to the copy you use in transactional emails. These emails may be automated, but the last thing you want is for them to sound like they’ve been written by a robot. …who wouldn’t feel inspired to go for a jog in the park after this? 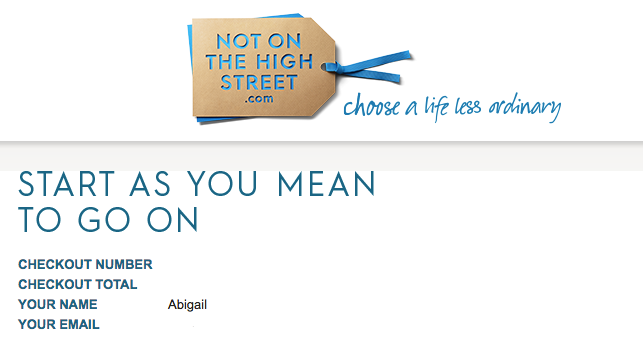 Another brand using email copy to generate excitement around a purchase is Paperchase. - Ask yourself: Does this email sound like it’s been written by my brand? Just because you've sealed the deal on a purchase doesn't mean you can't quickly set up a follow-up one. And offering personalised recommendations in your transactional emails is a great start. Here are two examples from Moonpig and Not On The High Street, both found at the bottom of their order confirmation emails. Likewise, if you have a loyal customer that shops regularly with your brand, but it always seems to be presents, you could have the subject line: “always a pleasure!” and some recommended gifts inside. - Use customer data to personalise your transactional email according to a customer’s taste profile or lifecycle stage. Another big point to make about transactional emails is that they shouldn’t be a dead end between brand - customer interaction. As pointed out in our intro to this post, they’re a unique opportunity to inspire a recipient to continue engaging. 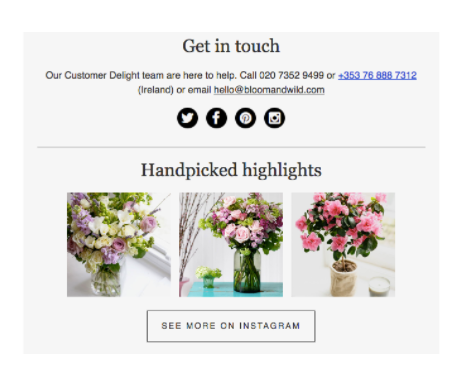 From cross-promoting similar items to inviting them to sign up to your newsletter, there are loads of different CTAs marketers can use. Take note, you can also personalise content based on whether a customer is brand new, loyal or a VIP. For example, this could be including an exclusive promotion in an email specifically for first-time buyers, or a recommended blog post to a customer you know interacts with your content. - Turn what are essentially post-purchase receipts into engaging emails that convert by including a separate CTA. This is a great way to reach out to a customer and demonstrate that you want the relationship to continue. 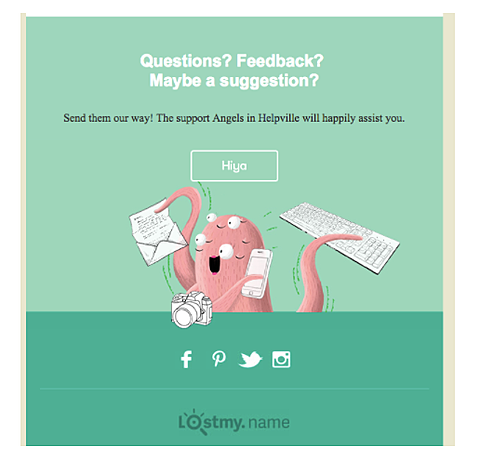 We’ve covered ways to make an email look and sound good, now for the more practical parts. Firstly, always double check your post-purchase email includes all the most important information, such as: reference number, payment details, order summary, billing address, delivery address, estimated delivery date, cancellation details… and anything else your customer might need. Secondly, keep customers up-to-date on the stage their order is at. 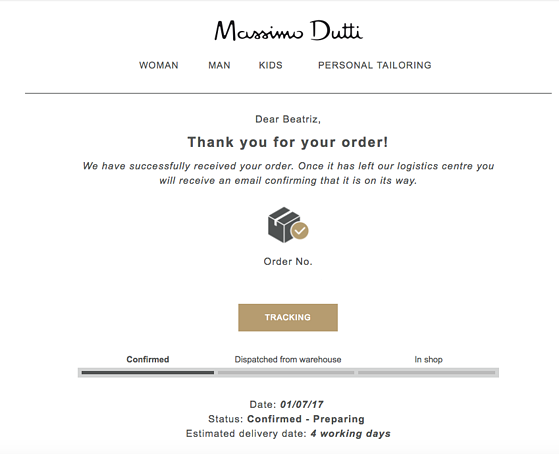 Most brands will do this by sending three separate emails: order confirmation, dispatch confirmation, delivery confirmation. 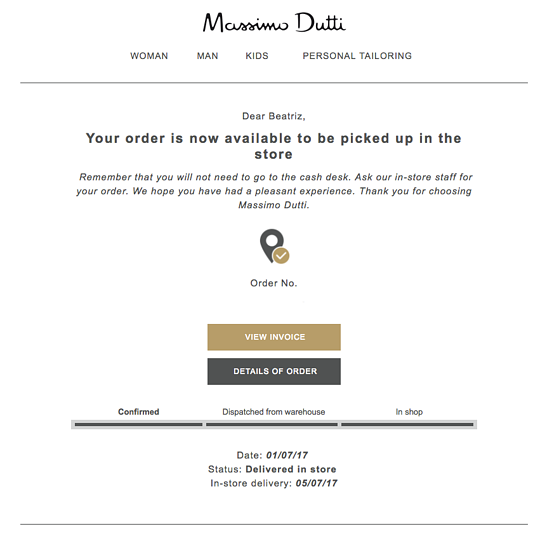 In this third email, the brand even reminds a recipient they don’t need to queue up to get their delivery, therefore saving them time and confusion. It’s the little things like this that go such a long way. - Always give your customer all of the information they might need, and keep updating them every step of the way. If you don’t, it's likely they will quickly get in touch with your brand, either via social or a customer service line, to find out for themselves. If a customer spots a mistake in their order confirmation, they’ll want to know exactly what they have to do to rectify it before the order is dispatched. And it's up to the email to tell them how. With a well-designed, easy to navigate email template, this is something Lost My Name is ace at. - Make it obvious what your customer needs to do to make a change. There’s no point including this information in tiny writing at the bottom, or omitting it completely - if a change or cancellation needs to take place, it will. 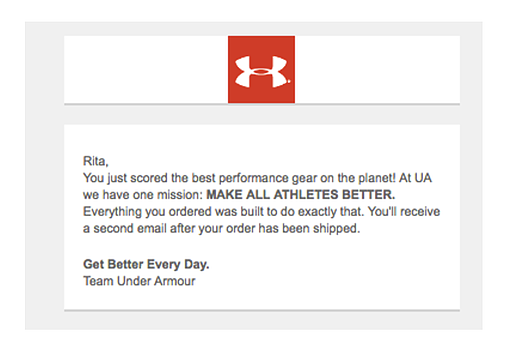 What does an awesome transactional email look like? Be on brand | Does this transactional email look like it’s sent from your brand, or does it come across as a soulless and automated? To show a bit of personality, include an image associated with your brand or use a typography featured on your site. Personalise | Use the data and technology available to tailor your email’s to each customer’s taste and/or where they are in the lifecycle journey. Get the tone right | You wouldn’t talk to a customers in a monosyllabic, passive-aggressive fashion on the phone or in person, so why in email? Don’t leave your customer guessing | Get all the most important information in front of your customer as soon as possible. This means details such as reference number, delivery method, tracking tools etc should all be in clear view. 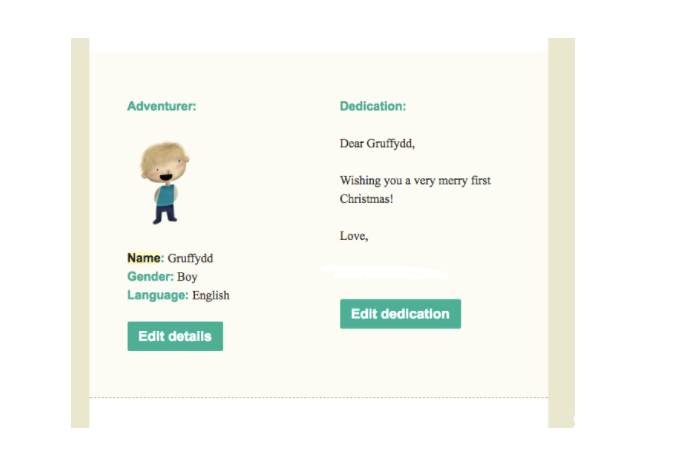 Following the first email, keep recipients up-to-date on the progress of their order. If a customer needs to change something about their order, make sure it's obvious what they need to do | This should prevent any recipients from panicking and calling your help desk. Continue the relationship | Instead of emailing a customer what looks like a boring paper receipt, use CTAs and hyperlinks to keep them engaged.